Gross Area: 34,000 sq. ft.
Area Per Student: 23 sq. ft.
After School Matters (ASM) provides after-school and summer programs for under-resourced teens in Chicago, with a focus on geographic areas in need of social services. In fiscal year 2017, ASM served approximately 17,000 teens who participated in 24,000 program slots. More than 84 percent of these teens are from low-income communities; 97 percent identify as minorities and more than 90 percent are Chicago Public Schools students. 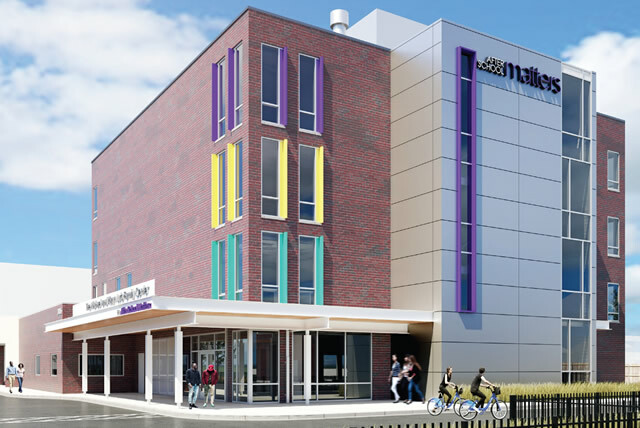 ESA was tasked with transforming an existing four-story insurance headquarters into ASM’s new Michael and Karyn Lutz Center, serving the teens of the Belmont Cragin neighborhood. 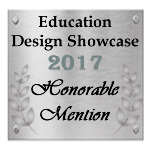 Programs include dance, music, culinary arts, technology, visual art, and a “tinkering space” for product design. The Center represents the organization’s first owned space and will serve as a model for teen programming across the city. After School Matters was deeply involved in the project from the beginning. As owners as well as end users, they were critical in helping the design team understand the organization’s culture, values and needs. The design team also actively engaged students by conducting workshops to provide visioning for all areas of the design. It was through this partnership with the owner, and a deeper understanding of the teens, that ESA developed plans which would celebrate shared spaces and encourage cross-pollination of ideas from program to program. As part of a predesign workshop, ASM students, staff and alumni of the after-school and summer teen programs shared their vision for effective learning spaces. The resounding desires were for flexible spaces linking the activities of one program space to another and showcasing the organization’s culture. The new facility was also encouraged to provide spaces that reflect the personality and collaboration of the student population. 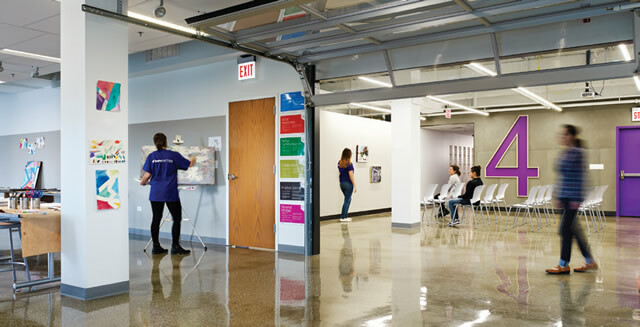 On each floor of the Lutz Center, garage doors connect perimeter studios to a central flex space which invites educators to open the doors and create a single free-flowing learning space. Students of all programs share ideas over casual pin ups or gallery displays of their work. Bookended by a commons/lobby and a teaching kitchen, the ground level circulation “boulevard” affords glimpses into vocal, dance and tech studios, creating a dynamic and interconnected community of performance. Vibrant, saturated colors reflect the organization’s brand identity, brighten the studios and simplify wayfinding. 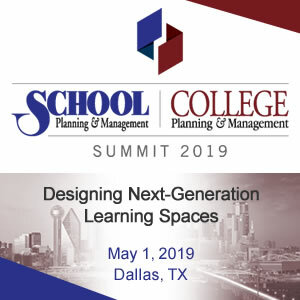 Challenges to the project involved maximizing the functional and programmatic use of a donated commercial building into a school for creative pursuits on a very limited project budget ($160 per square-foot). Other physical challenges included drawing natural light deep into the interior by using glass overhead doors and creating an exciting interior transparency and flexibility for varied programming. One of the design team’s goals was to re-use as many existing elements as possible while accommodating the new use and ensuring code compliance. By exposing the existing structure and raw concrete flooring, the team created an aesthetic from materials already in place, minimizing the carbon footprint. 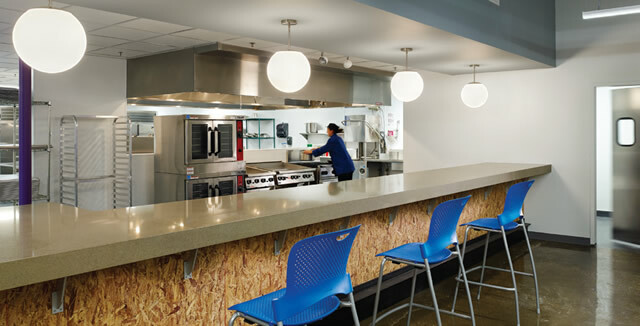 New materials are composed of inexpensive, readily available elements, including cement board cladding, oriented strand board and steel trim. These finishes and materials cladding the walls of public spaces encourage teens to nail to, paint over, apply mosaic tile or otherwise customize them to express their creative energy. The industrial feel of the spaces paired with playful color pops touches on both a youthful and adult environment. This environment embodies After School Matters values by providing a space which encourages teens to celebrate the creativity of adolescence while learning skills that will become useful in their adult world. To provide natural light, new window openings were cut into the building shell, allowing daylight to shine through the glass-clad garage doors of the perimeter studios and into the shared internal spaces. Other exterior improvements landscape updates, a covered entry canopy and a new stair tower that brings the building into compliance with current building codes. Maximizing the use of the site for gardening and bicycle repair is planned to be phased in over the next year as funds became available. 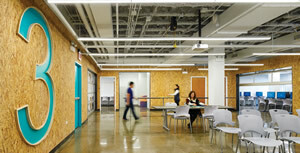 The collaborative culture encouraged by the new space has extended beyond chance interactions - the instructors have planned collaborative efforts combining two program groups. The jewelry and music instructors planned a fashion show which combined the efforts of their two programs, submersing teens into an art form they otherwise would not have been exposed to. The Lutz Center has already had a profound impact on Belmont Cragin, and that impact promises to spread throughout the city. 1,500 teens from the immediate community will participate annually in programs at the new facility. The building not only allows the teens to apply their creative passions, but also signifies to them and their community that they are important and worth investing in. 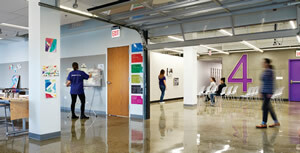 Furthermore, the Center serves as a model for facilities in other underprivileged neighborhoods. ASM is currently planning to build a similar facility in the Pullman neighborhood. Transformation requires equal measures of nature and nurture. When untapped human capital and the conditions for growth combine—life flourishes. The Lutz Center provides the opportunity to help Chicago’s teens discover and stretch their potential. As the donation of the building met long-standing organizational vision, the organization is itself transformed from a tenant into an owner and operator. This is a place that students will feel comfortable in and want to go to. Great adaptive reuse. Nice flexible open areas. Liked the use of a post-occupancy survey.